Get your gas cooking appliances installed and serviced by Maroondah Air Services’ licensed and qualified specialists . 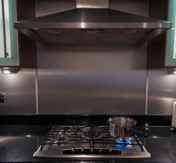 Every home kitchen needs quality cooking appliances, with gas being an ever-popular system for homes across Melbourne. Maroondah Air Services provide leading residential gas cooking appliances and installations, so you can cook with confidence and safety. Maroondah Air Services recommend the right gas cooking appliances for your lifestyle, budget and the style of your home, ensuring your new appliances boost the value of your property and let you use your kitchen to its full potential. These appliances include gas stoves, burners, ovens and more. For convenient cooking appliances tailored to your needs, speak to Maroondah Air Services today about our residential gas cooking appliances, perfect for kitchens across Melbourne. In addition to gas cooking appliances, Maroondah Air Services also provide gas heating and ducted gas heating. Whether you’re in Blackburn or Croydon, we’re the team to call. Count on us for the supply and installation of leading brands like Toshiba, Rheem and Bosch. 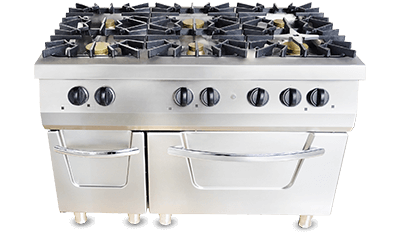 When you run a restaurant, café or any other sort of commercial kitchen, you need the highest performing gas cooking appliances. 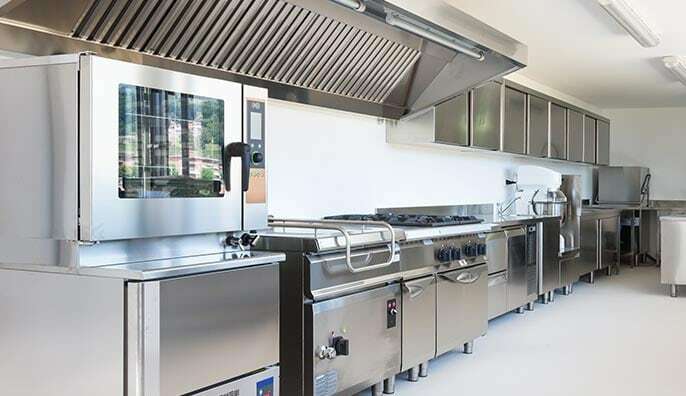 Whether you are fitting out a new commercial kitchen or looking to improve the fittings at your existing premises, Maroondah Air Services can help you choose the right appliances and ensure everything is installed the way it should. 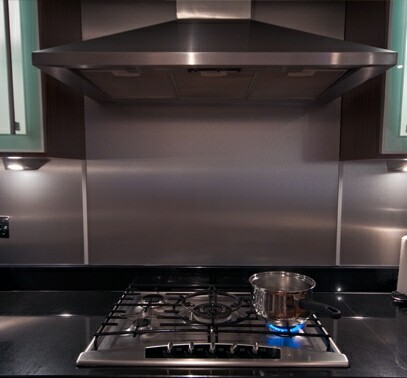 When it comes to acquiring the best possible cooking appliances for your residential or commercial kitchen, it’s vital to count on experts for your gas cooking appliance services. Maroondah Air Services help you choose the right appliances in accordance with your budget and lifestyle, perform quality installations and provide immediate servicing when required. To maximise the profitability of your commercial kitchen or the value of your home, making an investment in gas cooking appliances is critical. Restaurant-owners and passionate home cooks alike can contact Maroondah Air Services for all your gas cooking appliance services in Melbourne. In order to ensure your gas cooking appliances last you for years to come, it’s key to have the appliances installed properly by professionals. Maroondah Air Services will install your gas stove or oven in your residential or commercial kitchen, attach the appliance to your gas mains and commission it. Once we’ve completed the installation, you can get straight to serving your customers or cooking for your family with the assistance of this brand-new technology. Boost the value of your home or restaurant with state-of-the-art gas cooking appliances, installed by Maroondah Air Services. Gas leaks or faults can be dangerous, meaning regular maintenance is required to keep you and your family safe. Generally, it is recommended to have your gas appliances serviced every two years, for which you can contact Maroondah Air Services. When it comes to maintenance, only a licensed gasfitter like those at Maroondah Air Services can get the job done safely and legally. If your gas appliances aren’t working as they should, or you suspect a gas leak, contact Maroondah Air Services immediately to get your appliances repaired, and restore your kitchen to functioning as it should. Issues with Gas Cooking Appliances ? Some of the common issues we see with Gas Cooking units are listed below. For any issues with your Gas Cooking system give us a call. Try cleaning built-up food debris from your burner. If this doesn’t work, it may be necessary to replace the igniter, for which you’ll need to call Maroondah Air Services. Your oven’s igniter is likely to be at fault. Call Maroondah Air Services for a quick resolution to the issue. Stop using your gas appliances and call Maroondah Air Services for assistance immediately. A gas leak can be a potentially dangerous situation, and one where you need prompt service from our expert team. The bake or broil elements of your oven may be to blame. To test if this is the case, preheat the oven and see if both bottom and top elements are glowing red hot. If not, or if they do but your problem persists, contact Maroondah Air Services. Clean the burner to ensure that food debris is not causing a blockage, and ensure that the burner is sitting firmly as it should. If this does not fix the issue, get in touch with Maroondah Air Services. Your oven’s selector switch or thermostat may be to blame. Check to see if the thermostat is sticking or defective: if you suspect this is the case, get expert help from our team.